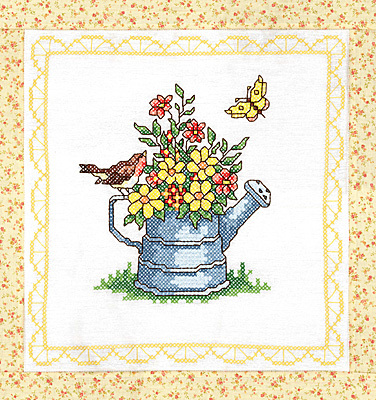 Spring Watering Can Quilt Block is a colorful and beautiful design. This watering can is full of colorful flowers to brighten you room. 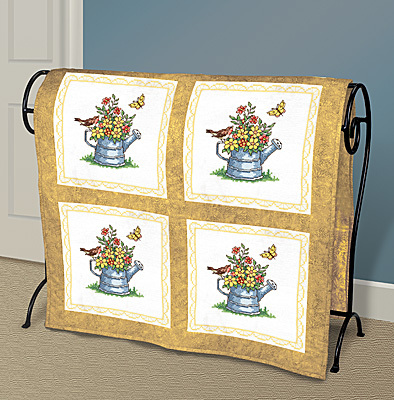 Designed by Sandra Garbrandt Contains: 6 screen-printed 18" x 19" 50% Cotton / 50% Polyester quilt squares, needle, graph, and instructions. Floss not included.